Please install the latest Java Development Kit. 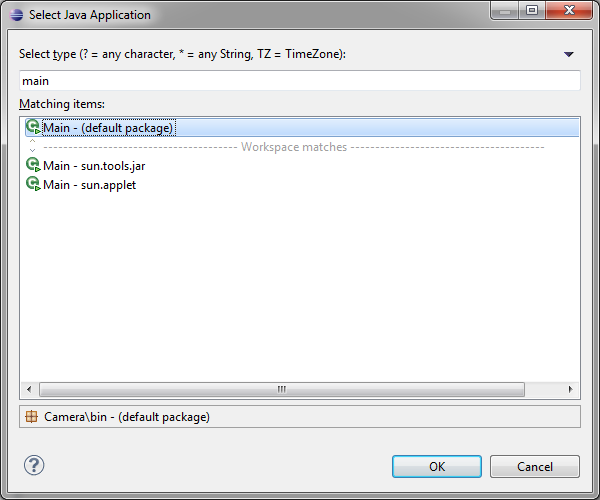 Also download the Eclipse IDE for Java Developers. You don't need to install this, just unzip the downloaded zip file in your preferred directory. Select your preferred workspace if you haven't done so already. Once eclipse has started, select File->New->Project from the Menu bar. 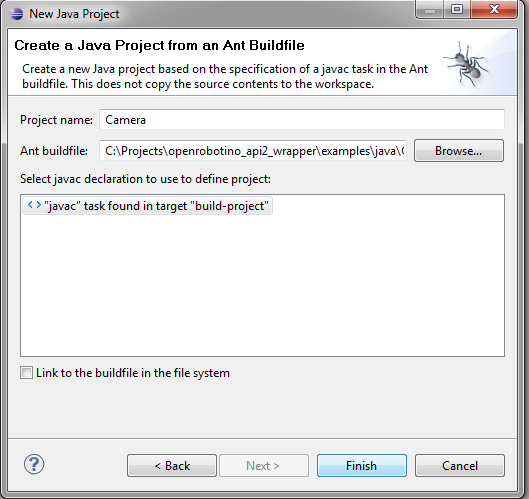 Select "Java Project from Existing Ant Buildfile" by expanding the Java field. 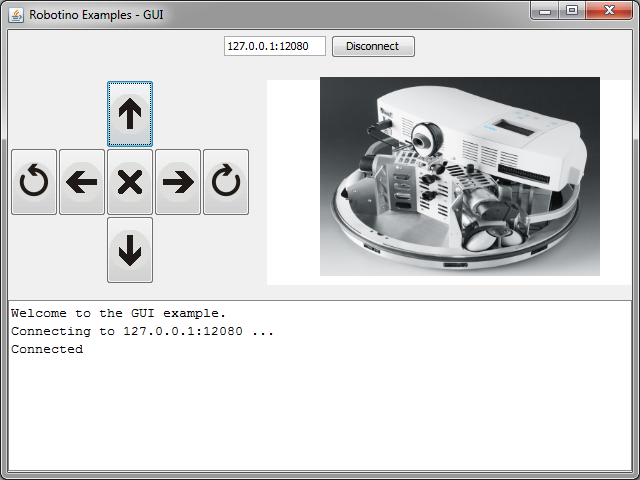 Navigate to the build.xml file in the Camera folder to locate the Ant Buildfile. Click finish. 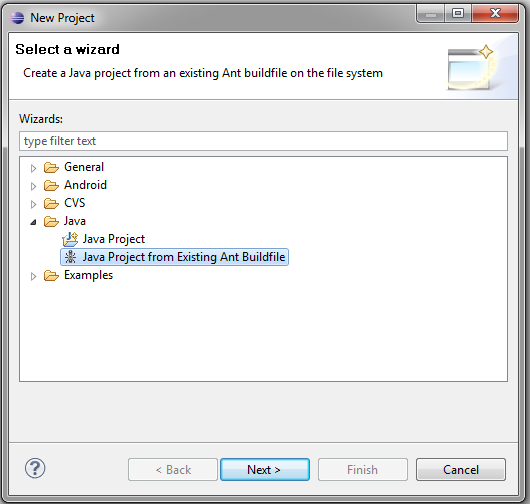 Once the project has been loaded, build and run it as a "Java Application". 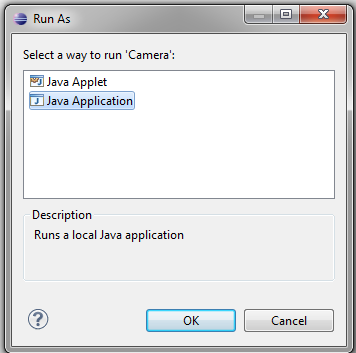 If the "Select Java Application" window opens then replace the ** by main and then select Main - (default package). The application should now run. Type the IP address of Robotino and click Connect. Repeat the same procedure as above to build the other examples. This page was last edited on 6 December 2011, at 11:58.